PAS president Abdul Hadi Awang has agreed to settle his defamation suit against whistleblower website Sarawak Report out of court. According to his political secretary Syahir Sulaiman, Hadi consented to undisclosed terms of settlement with Sarawak Report editor Claire Rewcastle-Brown. 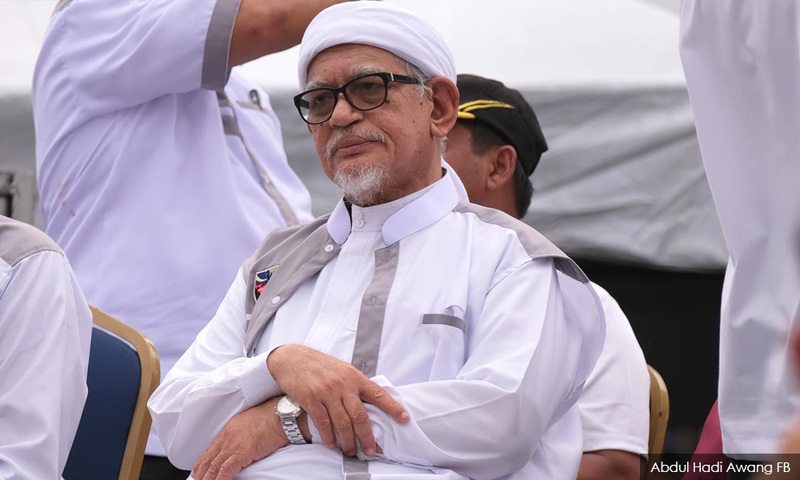 "It is informed that Hadi has made a decision to finalise an out-of-court settlement through a consent order dated Feb 1 at the London High Court of Justice, Queen’s Bench Division," he said in a statement today. Syahir added that Hadi also consented to withdraw his claims against Rewcastle-Brown as the defendant was said to have similarly withdrawn her counterclaims. No order was made as to costs. In his statement, Syahir noted that the decision was reached after thorough scrutiny of the overall court action, and on the advice of Hadi's legal team. Malaysiakini is contacting Rewcastle-Brown for comment. Last month, PAS vice-president Idris Ahmad said that the party was seeking to raise RM400,000 from the public to meet the cost of the legal suit, on top of the RM2.5 million it had spent so far. Hadi sued Rewcastle-Brown for libel in London on April 21, 2017 over a Sarawak Report article alleging that PAS received RM90 million to ensure the party's support for BN and Umno.